At last, the world of modular meets the world of stompboxes. It’s a no brainer: after all, a modular rack already has a lot in common with a crowded pedalboard. 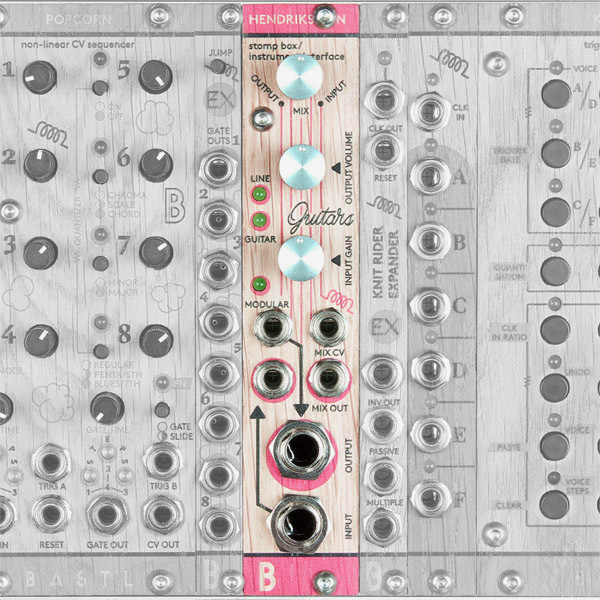 I expected that our friends at Bastl Instruments from Czech would come up with something for this week’s Superbooth synth gathering here in Berlin, and sure enough, they’ve got three new modules, with one stompbox-friendly standout. Dynamo is “bonkers” envelope follower + comparator + voltage-controlled switch. It can be a conventional compressor. It does weirdo “deep” modulations. And thanks to flexible options — negative ratios, inverted and non-inverted follower output – you can use it with kind of anything in your rig. Tromsø is the one I rather crave. It’s inspired by a 1994 Norwegian invention that did “analog” downsampling and bit distortion. (Yes, you read that right.) Combining a VCO, Comparator, and Sample & Hold unit, you can use any of those three utilities separately, or make vintage sampler sounds in the analog domain by combining them to produce distortion. And in the process, you can go all Norwegian and emulate the “Tromsø sound” the 1994 Distortotron inspired. Hendrikson, though, I think will be the breakout hit. Tom of Music thing was saying at dinner the other day (have to credit you, Tom) that there’s a certain parallel between the guitar stompbox scene and the Eurorack module scene. Well, now you can combine them. Hendrikson is an amp for guitar or instruments, and an interface to external effects. You can plug in your guitar. You can plug in a stompbox. That’s already cool, but making this even better, you get CV control over the wet/dry mix. That means you can modulate an effect, or even add quick-and-dirty tremolo. It also means that if you create a feedback loop (by connecting the output back to the input), you can modulate effects loops with CV. Since this is for guitar stuff, you naturally get a big 6.3mm (1/4″) Neutrik connector. Each module is 109€ and availability is set for June. New ready-to-go sets for guitar and instrument processing. 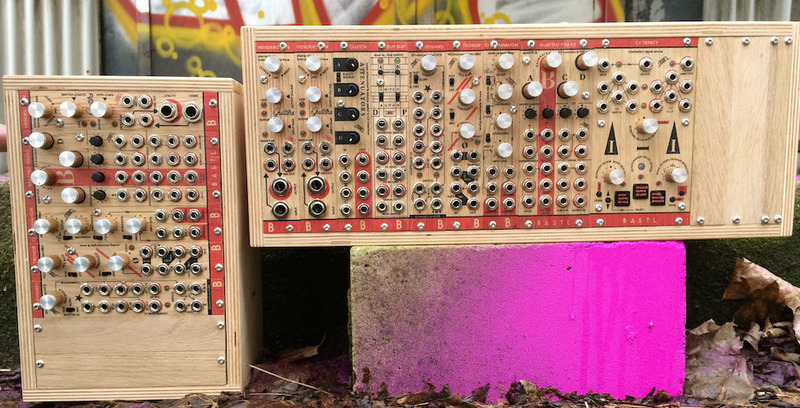 Cleverly, the Bastl guys have used these new processing units to create complete signal processing systems for instrumentalists, entitled Bob and Bobek, and priced at 659€ and 129€, respectively. Mount them on a mic stand with the included adapter. Because they input guitar/instrument and output line/guitar level, you can jack these into any existing setup. 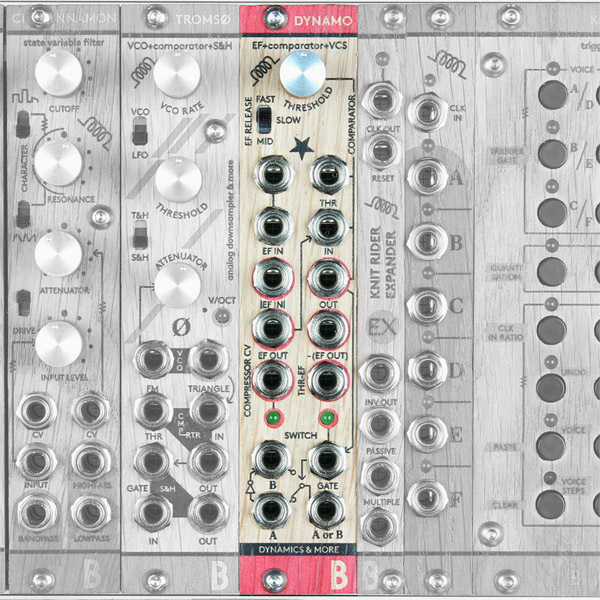 Bobek adds a filter and VCA to the three above modules, plus room to expand. Bob is probably the one you want, even though it’s twice the price. It does all Bobek does, but adds a modulation source and options for connecting foot pedals and modulation. 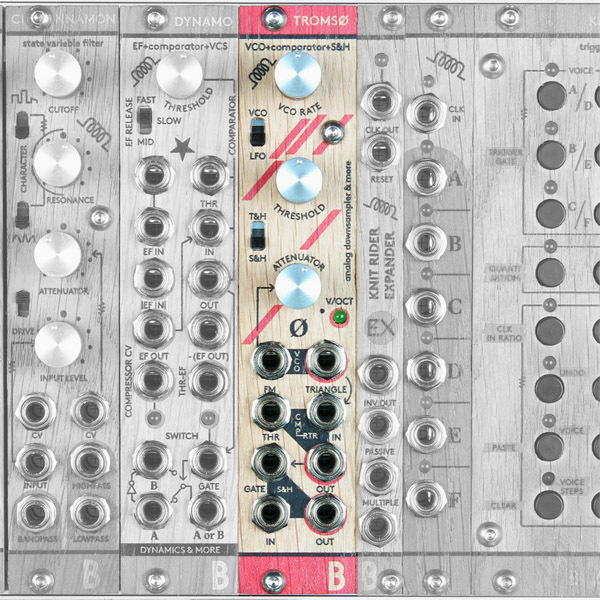 Got questions for Bastl? Let us know and we’ll pass them on tomorrow when we see them.